Compass Sailing Bonaire is a wonderful sailing adventure in Bonaire. They specialize in snorkeling and day sailing trips and charters. The crew consists of husband and wife team Captain & Chef Wim and Marianne. Enjoy a day of sailing with lovely refreshments and snacks and of course breathtaking views from this splendid sailing vessel. The boat is a 44’ Peterson and sails the pristine waters of Bonaire including around Klein Bonaire. 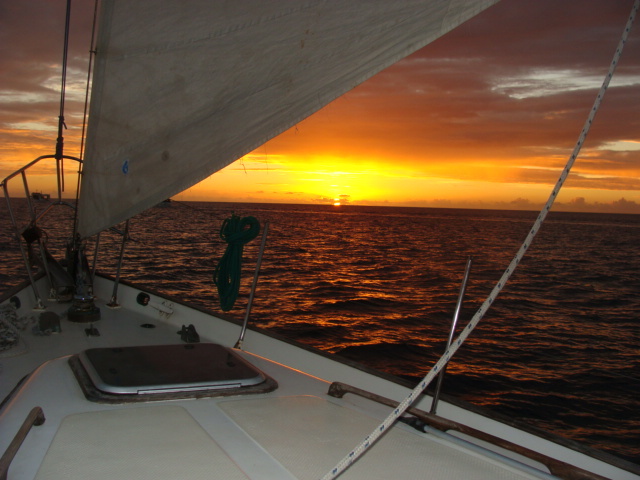 Enjoy a full day or half day sail as well as a sunset cruise. Prices start at 50 USD pp including snacks and drinks. Contact your concierge Ann Phelan at ann@bonairecaribbean.com today to book your trip on Compass Bonaire. This entry was posted on August 17, 2011 at 1:44 pm and is filed under Activities. You can follow any responses to this entry through the RSS 2.0 feed. You can leave a response, or trackback from your own site.